One of the biggest barriers to eating well on a budget is the “tiredness factor”. Sometimes (often), I come home from work so tired that all I want to do is sit on the couch with Jeremy and watch Netflix or read a book. Chopping, prepping, stirring, and heating all sound nearly impossible to me on those days. Jeremy is super sweet and always willing to help out, but I know that he’s exhausted on those days, too! Breakfast. It’s the most important meal of the day, right? The only problem is that morning is also the busiest time of day for a lot of us, meaning that breakfast can become a bit of an afterthought. When it comes to breakfast, I’m all about making sure my meal tastes great (this should go without saying, but sadly in this day in age, it doesn’t. 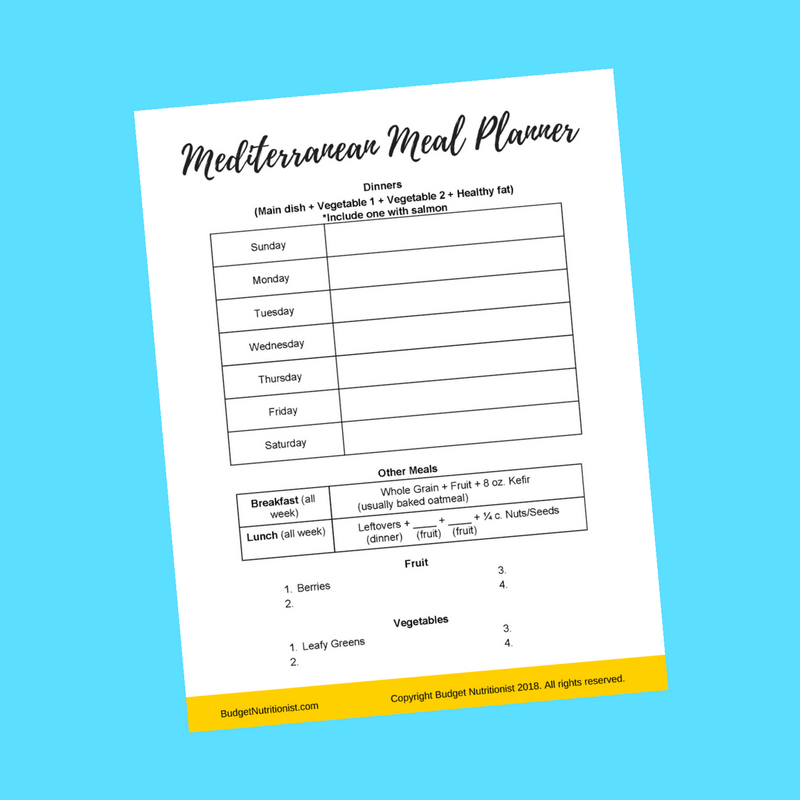 ), is easy and quick to prepare (I’m not a morning person), and aligns with the Mediterranean diet. If you get a room full of nutritionists, health coaches, doctors, and nutrition researchers, they might not agree on much about nutrition (which is what makes nutrition so confusing!! ), but I can assure that they will agree on one thing: if we want to feel better and nourish our bodies, we need to eat more vegetables!